The Hotel Gyan Ganga Heritage is coming with new concept of hospitality Services in Haridwar. Earlier it was know as Hotel Gyan Haritage and now It is renovated with a new name Gyan Ganga Heritage in addition of more ultra modern facilities & infrastructure. Whether you are a business traveller or a leisure traveller, Hotel Gyan Ganga Heritage in Haridwar caters to the needs of all. The hotel is centrally located in the holy town and is at a point from where visitors can easily access all the key tourist attractions in and around Haridwar. Hotel Gyan Ganga Heritage is located at gateway destination Haridwar, just 1.5 Km away from Har-ki-Pauri. The hotel is near Shanti Kunj on Haridwar-Rishikesh Highway NH-58. There are 31 contemporary designed rooms to match up the guest's requirements in Hotel Gyan Ganga Heritage. Room service of Hotel Gyan Ganga Heritage gives you delights experience of food, Well design menu for in house guest which gives you feeling of Hygiene, taste and satisfaction. 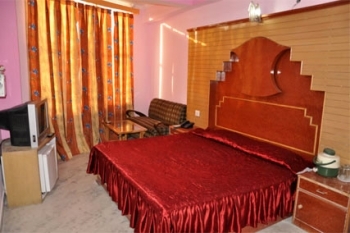 Guest at hotel can choose room from two categories - A.C Double Bed and A.C Four Bed. Both categories are tastefully design for the hotel guest. The Hotel Gyan Ganga Heritage is putting all its earnest endeavors at all times towards developing a world class systems and a training culture to deliver customer delight by continuously raising the levels of customer satisfaction. The ritzy ambiance of Hotel Gyan Ganga Heritage has been enriched with excellent delights Multicuisine, Air-condition restaurant that gives you comforts to enjoy the chef creativity, here we accommodate 50 people in hotel premise with warm welcome and personal attention. An exquisitely designed restaurant with perfect lighting and music is an ideal setting for catching up on those rare moments of togetherness. 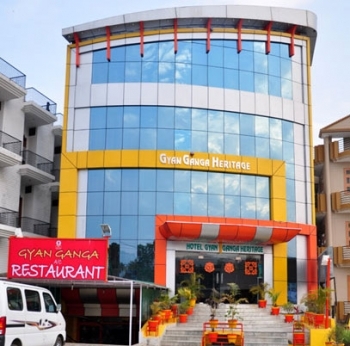 Hotel Gyan Ganga is 3.5 km away from Haridwar Railway Station & Bus Stand and just 30 minutes drive from Domestic Airport of Doiwala (Jolly Grant Airport).